After the steaminess of Galle we head for the hills through the tea plantations to the coolness of Nuwara Eliya. The colonial British loved it up here and the architecture very much reflects their influence. It really is a lovely, relaxing place to spend a couple of days between the 1st & 2nd Test matches. Today we depart Galle and travel inland to the hill station of Nuwara Eliya, stopping for lunch on the way (cost included). 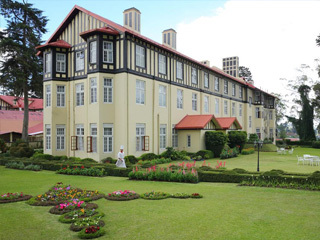 Built entirely during the 19th century, Nuwara Eliya’s architecture mimics that of an English village. It is an early start if you wish to join us on an exploration of Horton Plains. The trip involves a medium difficulty trek of 9kms (approx. 4 hours) and takes in the famous ‘World’s End’ where the plains give way to a 900 metre escarpment. Late afternoon we take a short sightseeing tour of Nuwara Eliya. Alternatively, carry on to the Kandy Tour – 2nd Test. 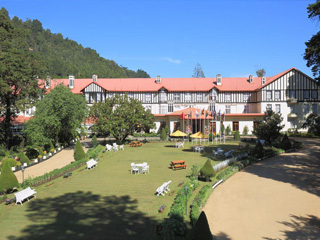 The Grand Hotel is the centrepiece of the hill resort town of Nuwara Eliya. 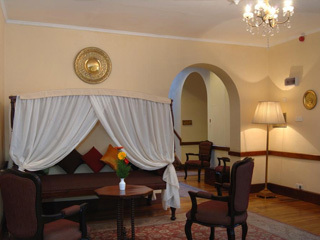 Revel in the century-old grandeur and Edwardian comfort whilst enjoying all the modern day facilities. 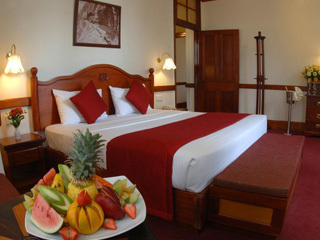 The deluxe rooms have a TV, bathroom with bath and shower and peaceful views of misty hills. 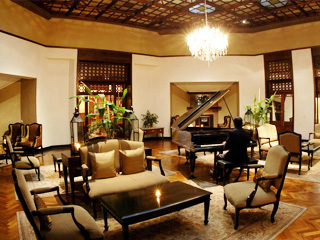 The restaurant overlooks the beautifully manicured gardens and there is a bar and coffee shop. Other facilities include a gym, sauna, massage centre and billiards room.